Ruskin’s former home is a vibrant centre for the arts and has a wealth of things to see and do for the whole family. 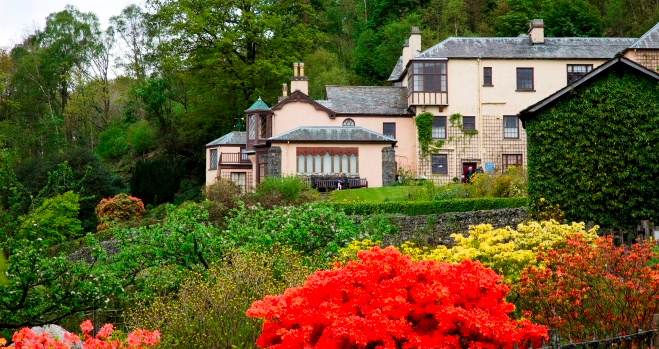 Brantwood offers an inspiring vision into the world of John Ruskin in the last 28 years of his life, in these Lakes which he helped to conserve with his untiring action. Filled with many fine paintings, beautiful furniture and Ruskin’s personal treasures, the house retains the character of its famous resident. Our visitors are free to explore the rooms and house stewards are on hand to answer questions. There are a range of quizzes and activities for children to enjoy. Two independent Self catering units, accommodating up to 11 guests with stunning lake views of Coniston Water in the heart of the Lake District. 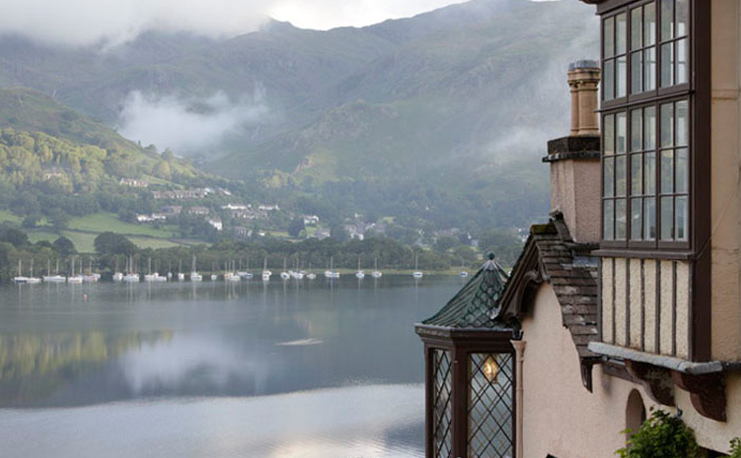 Celebrate your special day at Brantwood overlooking Coniston Water with spectacular views of Coniston Old Man. Brantwood has unique and beautiful mountainside gardens set in a 250 acre wood estate, forged by the vision of Ruskin. Enjoy spectacular views over Consiton Water and the fells beyond. At the café, enjoy delicious food with spectacular views.